Eight Grade students interested in the Troy Riverfront P-TECH program must submit their application packets by April 18. The packet includes: students application; parent application; teacher recommendation form; and school counselor recommendation form. Please click the link above for materials and additional information. (Click the link above to see the presentation from the January 17 informational meeting. )Eight Grade students and their families are invited to come learn what the Troy Riverfront P-TECH Program is all about. Join us on Thursday, January 17 at 6 p.m. at Troy Middle School. P-TECH is a 6-year program that leads to an Associate’s Degree from HVCC. 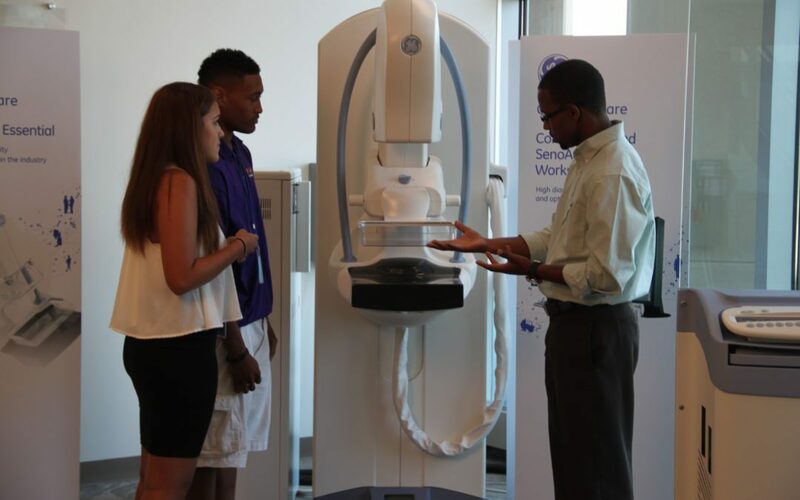 Upon completion, graduates are first in line to be considered at partnering organizations. College tuition and books are paid for through the P-TECH grant. 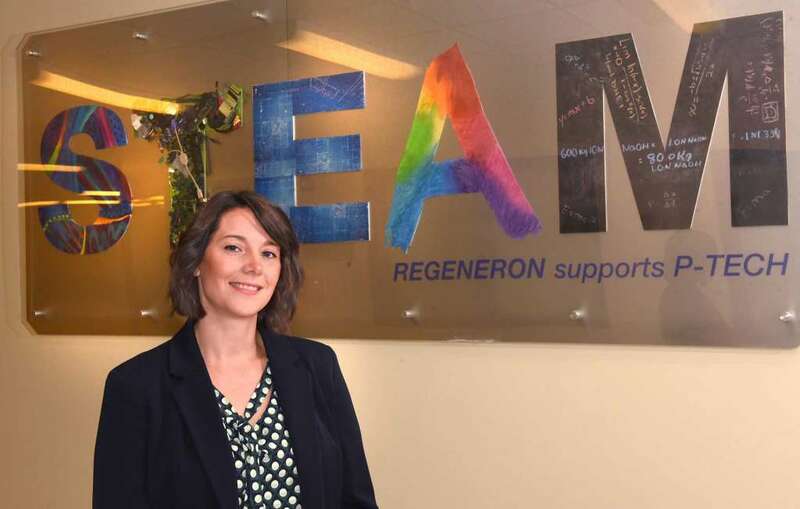 Troy CSD Math Curriculum Leader Nicole MacNeil was recently featured in the Times Union’s Women@Work STEAM issue for her work as a Troy Riverfront P-TECH teacher. Click the link above to learn how she is helping students gain the skills to be successful after graduation. 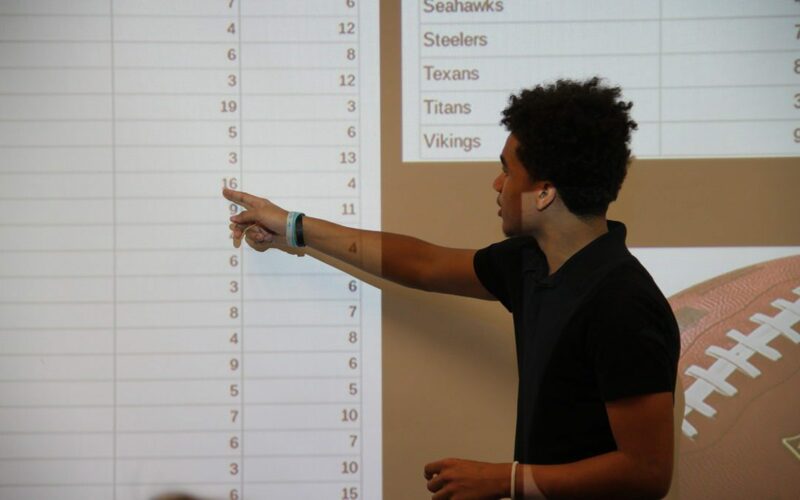 Ninth grade students in the Troy Riverfront P-TECH program recently created their own consulting companies and interviewed to be data analysts for CNN. Ok, not really, but they did pretend to as part of a math project that incorporates public speaking and interview skills. 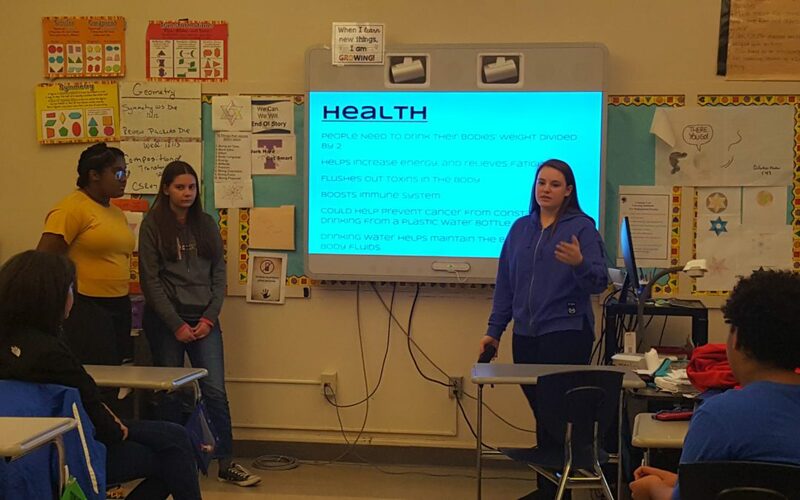 Sophomores in the Troy Riverfront P-TECH program recently flexed their persuasive public speaking skills in a combined math and ELA project about filtered water bottle stations in Troy High School.